Let me introduce a blog post from a Japanese entertainment site that I introduce frequently on Japan Style. It is about a phone booth. 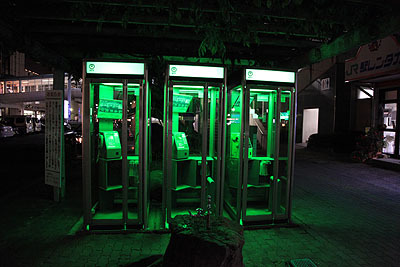 In Chino, Nagano, there are phone booths in front of Chino station. 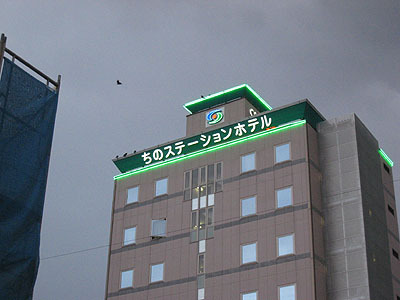 They turn into bright green in the evening. 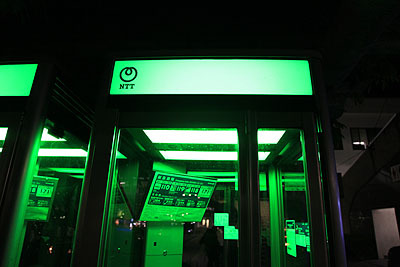 There is a stickers of NTT, a Japanese major telephone company. So they must be qualified telephone booths. However, most of the phones in the booths were gray. 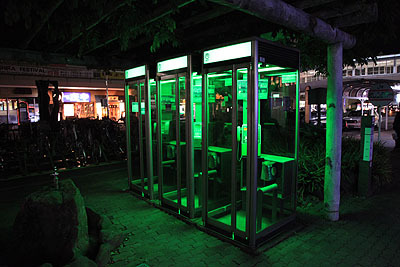 Since cell phones are so popular, pay phones are disappearing in Japan. Well, I did not know that there were still such unique pay phones.